One of those services is website hosting. Even if you aren’t running an online business, website is a vital part of your company’s marketing. However, many new entrepreneurs, especially those running offline companies or who don’t have experience in setting up a site, see website hosting as a place to trim or eliminate costs with an eye toward managing business expenses effectively. With so many free (or nearly free) hosting options, why spend money there when you can put it toward other important expenses? There are actually several good reasons that you should choose paid website hosting over free options. That’s not to say that free hosting is never a good idea; microbusinesses who only want to maintain a blog, or those who want to launch a temporary page can certainly benefit from free hosting. Beyond that, though, investing in a quality host is usually the better option. In most cases, when you choose a free Web host, your site becomes a subdomain of that host. In other words, instead of your site being yourcompanyname.com, it becomes webhost.yourcompanyname.com, which can affect your credibility. When your site is a subdomain on another site, it sends the message to customers that you aren’t truly invested in your business — after all, you won’t even pay for your own domain space! It also makes it more difficult for customers to find you (they can’t just type in your site name) and it can raise questions about the quality of your product or service. Even if you find a free Web host that allows you to use a custom domain, there are other drawbacks to consider. Free Web hosting providers don’t offer their service out of the goodness of their hearts. They want to make money, and they usually do so via advertising — on your site. As the user of the service, you may have little to no control over the ads that appear on your site, meaning you could end up promoting a product that doesn’t relate to or align with your values. Bottom line? Paid hosting gives you more control over the content of your site, and if you want to host ads, you’ll earn the profits. 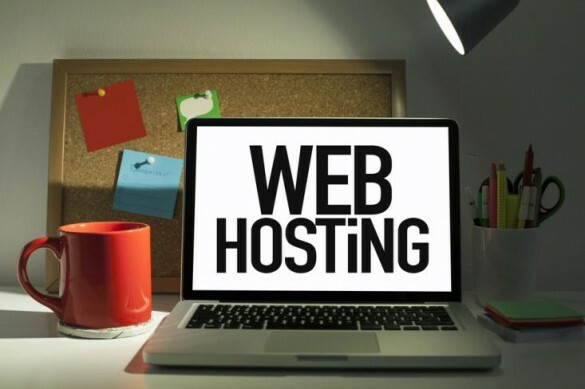 When you choose a free site hosting service, you’re probably going to find that the features available for customizing your site are limited at best. Essentially, you’re limited to the themes and plug-ins the provider gives you. You can only customize your site so much — meaning that not only will you have to settle for a site that not exactly what you want, but there’s also a good chance that your site will look a lot like several others as well. And if you want to add an e-commerce element to your site? Well, good luck. Most free hosting services won’t allow you to do so. Limitations on features don’t stop with the look of the site, either. Free hosting services may not offer all of the analytical tools that you’re looking for, preventing you from getting the full story about your site’s performance. The metrics and analytics you need to gauge what’s working (and what’s not) may not be available to you, leaving you floundering when it comes to optimization. Most free hosting services cap the amount of bandwidth any individual site can use. So if your site takes off and you start getting a ton of traffic? You could be out of luck and the site could go down — and you could lose customers before they even see your site. When you host your site on a free service, the support you’ll receive is likely to be limited at best. When you have trouble, you’ll probably have to do a lot of the legwork yourself. You might be able to track down some support via email, online chat, or phone, but in some cases, you may have to pay for the privilege. Not to mention, some free provider’s offer to “solve” the problem by upgrading you to a paid service. Why not just cut out the middleman and pay for service to start with? Again, free Web hosting services aren’t all bad. They have their place, and if your budget is nonexistent or you’re just sending out feelers to see if your business idea has legs, they can save you money. But if you are serious about your business and want to make a great impression on customers, paid hosting is the way to go. What was that parable that Jesus used… “you get what you pay for”…. maybe it wasn’t Jesus… maybe it was an old car salesman. My old saying is “Free is always crappier”.